A police officer lifts caution tape near the scene of a shooting in east Toronto, on Monday, July 23, 2018. “Don’t worry, I’m not going to shoot you," Mr. Hussain said. Investigators documented the chance encounter on Tuesday as they went door to door, interviewing witnesses of Sunday’s attack that left 18-year-old Reese Fallon and 10-year-old Julianna Kozis dead. 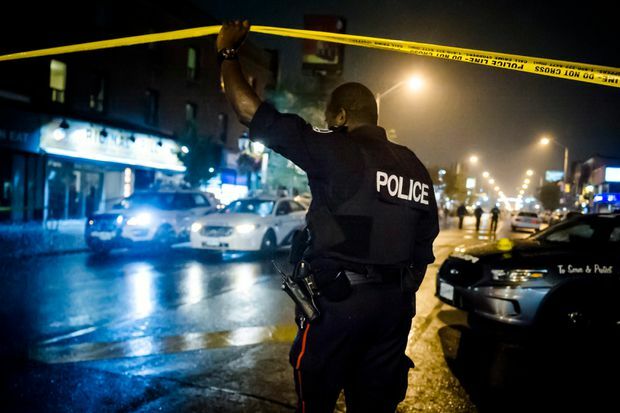 Thirteen other victims, ranging in age from 17 to 59, were injured as Mr. Hussain, 29, crisscrossed Danforth Avenue around 10 p.m., firing at pedestrians and businesses. Mr. Hussain died in front of a church at the southwest corner of Danforth Avenue and Bowden Street after a shootout with police. 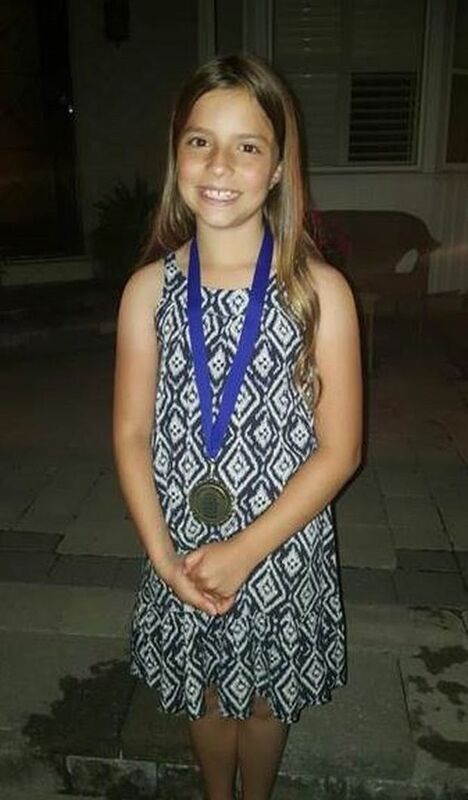 Toronto police have identified Julianna Kozis of Markham as the 10-year-old girl who was killed in a shooting rampage in the city's Greektown on Sunday. Just moments before, neighbourhood resident Jaspal Singh was cutting through a laneway on his way to his restaurant on the busy Danforth strip when he ran into the gunman. On Tuesday, Mr. Singh’s wife, who asked that her name not be used, confirmed the details of the encounter to The Globe and Mail outside their home. But she said her husband was still shaken up and not ready to speak with the media. She said the province’s Special Investigations Unit – a civilian agency that probes deaths or serious injuries involving police in Ontario – had been by that morning to interview him. It’s unknown how Mr. Hussain selected his victims or what motivated the attack. His family has said in a statement that he had “severe mental-health challenges,” including a lifelong struggle with depression and psychosis. Detectives continue to conduct interviews and execute search warrants, she said, and are looking at the suspect’s online activities. “All that work takes time." Public Safety Minister Ralph Goodale said on Tuesday that, at this point in the shooting investigation, there is no known “nexus” between Mr. Hussain and national security. “There is no national-security connection between this individual and any other national-security issue,” Mr. Goodale said. An autopsy was conducted on Mr. Hussain’s body on Tuesday. However, the SIU would not release whether Mr. Hussain’s gunshot wound was self-inflicted or caused by police. “The postmortem results are considered to be evidence so we would not release that while the investigation was ongoing,” SIU spokeswoman Monica Hudon said, noting that even if Mr. Hussain is found to have died by suicide, the SIU would not necessarily end its investigation. “Every case is different and we would have to look at the entire situation or the entire incident to make a determination on what we’re going to do with the case." The SIU said on Tuesday evening it has designated two subject officers and four witness officers in its investigation. It is in possession of the handgun used by Mr. Hussain and is making arrangements to send it to the Centre of Forensic Sciences for analysis, Ms. Hudon said. Toronto Police are also investigating the origin of the gun used by Mr. Hussain. 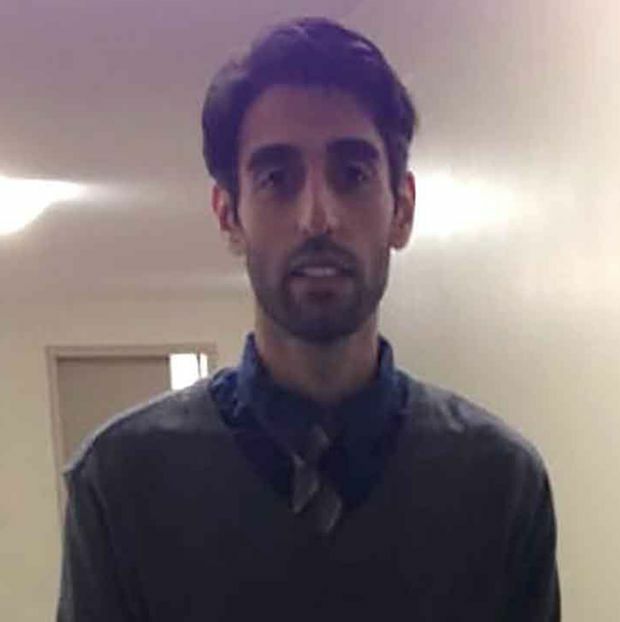 The family of Toronto shooter Faisal Hussain provided the media with a photo of the 29-year-old on Tuesday. Law enforcement continues to investigate the circumstances of Sunday's shooting, including how Mr. Hussain obtained the gun he used. “How Mr. Hussain obtained a firearm is part of our ongoing investigation, but we are not prepared to release those details at this time,” Ms. Gray said. One of the final spots that was targeted by Mr. Hussain on Sunday night was the 7Numbers restaurant, at the southeast corner of Danforth and Bowden. On Tuesday morning, restaurateur Vito Marinuzzi was busy replacing the bullet-riddled side door of the Italian bistro. He was not there during the attack and could not believe the news when his staff called him from inside the restaurant. After hearing gunshots down the street, around Logan Avenue, the servers rushed their customers in from the patio. They drew the blinds and hid – some behind the bar and others in the basement – as they awaited police. At one point, Mr. Marinuzzi said, a woman who he was told “wanted to help” took a look out the side door of the restaurant, onto Bowden Avenue. The shooter, he said, was right there. Shots were fired and the woman was hit. She was pulled back inside by the others. The door, with clear bullet holes, had been taken down and was leaned up against the restaurant wall on Tuesday as Mr. Marinuzzi tried to decide what to do with it. He was worried about making it as “easy as possible” for his staff to come to work that evening – their first time opening since the shooting. When Mr. Marinuzzi went inside the restaurant on Monday, escorted by police who wanted a copy of his surveillance footage, he was struck by the chaos left behind. Meals were still sitting on tables, but chairs had been flipped and wine glasses had been knocked over, marking the path that patrons had taken in the scramble to hide. But he was also struck by the dozens of phone messages and e-mails from customers looking to check in or book a table. That solidarity, he said, is comforting. So he and his staff decided to reopen on Tuesday evening. Indeed, mourners came out in droves as soon as the street reopened on Monday, stopping into the handful of businesses that were operating and leaving flowers and candles in a tribute to the victims. A vigil is planned for Wednesday night. The city’s Community Crisis Response Program – which works with communities in the immediate hours and days after a traumatic event – has been called in. On Tuesday, a representative was going door to door along Bowden Street, offering information to residents about available supports. On Tuesday, workers removed a shattered window from the Second Cup that was targeted during the mass shooting on Danforth Avenue on Sunday night. One neighbour, who lives just a couple doors south of Mr. Marinuzzi’s restaurant, was emotional on Tuesday morning as she recalled the traumatic event. Janet – who asked that her full name not be published because she can’t release her address for professional reasons – said she and her family were home on Sunday night and heard the gunshots followed by sirens. She said they got down and stayed away from the windows, so they did not see what was happening. Her husband did get a glimpse of a man in a black cap going down the laneway across from their house, she said – which was cordoned off by police on Monday – but she said he couldn’t be sure it was the gunman. Janet said she has been worried all summer about her teenage daughter, who works at a job in downtown Toronto and comes home around 10 p.m. But because it was a Sunday, her daughter was home that night at 7 p.m. She is relieved they were all safe inside.